" The Power of Union "
* You have the option of doing only Module 1, or for a Yoga Alliance 300 Hour Advanced Certificate, You must complete Module 1 and 2. You can also complete Module 2 in another year, we offer these programs on a yearly basis. This inspirational quote is a good starting point to begin our journey. We are at a nexus in time where the ancient practice of Yoga seems to be moving like the ocean during a grandiose, yet chaotic storm; flowing in many directions, sometimes seemingly uncontrolled, and losing touch with its essence. In such an environment, it is wise to return to the heart of the matter. The art and practice of Yoga is the study of the body, mind and everlasting soul.. it is timeless and eternal. There are certain truths that are undeniably experienced in the fleeting, yet perfect moments of union between breath, body, heart, mind and soul. This pathway requires an unfailing dedication to Abhyasa, or conscious practice and the steady awareness of Vairagya, detachment to the shadows of existence. The concept of Abhyasa not only applies to the practice of Asana, but all aspects of life in which conscious action and positive intention will bring us and those around us, into the light. At the heart of the Liquid Flow Advanced Teacher's Training, are the lead facilitators: Simon Park, Noelle Connolly, Joan Hyman, Susan Michel and Gwyn Williams. Each teacher is deeply committed to their craft evidenced by years of in-depth study with master teachers spanning generations and styles. Through constant practice, application and teaching we aim to present this timeless information in a way that remains relevant for our modern age. This is the power of lineage; the deep connection to the source are preserved and the universal truth of the teachings flows through us into the present moment. It is the perfect evolution to joyfully share this journey; of being life long students and ultimately ' Mitras ' - spiritual friends on the path. We are dedicated to teaching in the most authentic way, by learning and teaching from our practice, passing on the brilliance of our teachers, and from the lessons learned from the rich fabric of life. Liquid Flow Yoga holds the structure and discipline of Ashtanga and Iyengar Yoga, infused with the immense creativity and dance-like flow of modern Vinyasa. It is a fresh and inspired blend of classical and modern styles. Practice dynamic asana as a movement mediation in an open system that guides the student to experience the practice as an unscripted adventure. Asanas are practiced with a keen eye to detailed physical / energetic alignment and awareness of complimentary and opposing actions. There is an artful focus on creative transitions that add elegance and uniqueness to the flow of the practice. Finally, an observation upon the subtleties of the breath upon body and mind. Principles of Vinyasa Krama are utilized to create an evolutionary practice that aims to challenge, invigorate and harmonize body, mind and soul. Learn the process of allowing the ultimate guidance to be from within… Experience the practice becoming exquisitely complete. The art of creative Vinyasa Krama sequencing. Craft intelligent, safe and creative flows that will take your students to the next level. We will review, break down and discuss sequences taught by Simon and Noelle during the training. Included will be discussion and construction of sequences based on the principles of Vinyasa Krama ( proper placement of asanas in sequential and progressive order ). Also, how to theme powerfully, sequencing toward peak poses, and designing your own advanced asana flows. Develop your ability and confidence to design and deliver creative and satisfying sequences for all levels, different types of classes and workshops. Learn the approach towards transformational hands-on-assists with physical and energetic alignment. Assisting is a very important element of teaching; a great compliment to good verbal cues. It requires excellent vision, precision, sensitivity, multiple points of awareness and an ego-free approach. A skillful touch has the power to transport your students to a whole new level of awareness. What could take years for a student to understand a particular action or movement, could be done with one precise, effective, supportive assist from a well-trained teacher. Simon, Noelle and Joan have trained and assisted two of the best in the business: Simon has spent years assisting for Shiva Rea and Noelle has studied and assisted extensively with Maty Ezraty - founder of YogaWorks. Practical, theoretical and philosophical aspects of becoming a better yoga teacher. Explore essential principles that will greatly inform your practice and teaching. Practice teach with direct feedback from peers and guides ( Noelle and Simon). Understand that each teacher has their own unique voice and each student, their own individual path of practice. Develop a more integrated understanding of anatomy in a yogic context to support you in deepening your personal practice and teaching skills. We will explore bio-mechanical connections in body-reading, asana alignment and hands on adjusting in a playful, fun and comprehensive way. Learn simple, body-based somatic practices that will enrich your spectrum of movement while helping your body develop safely towards a more advanced asana practice. Discover how all limbs of the practice come together while taking a closer look at ground/space orientation, spinal movement, major joints and their dynamics in the body and how all this blends into the three dimensional web of fascia that reflects who we are and how we move in this world. Blood, Prana and nerves form the foundation of our body's internal pathways, referred in eastern healing traditions as 'the river of life that ensures good health and vitality'. When this is obstructed through emotional and physical trauma, postural imbalances or external invasion of pathogens, the natural healing mechanisms of our body is challenged and the 'free flowing river' stagnates. The result is pain, low energy and a general loss of well being. Zenthai shiatsu addresses the needs by drawing on the Traditional Energetic based systems of Zen Shiatsu, Traditional Thai Massage and the remediation techniques of Osteopathy. By integrating the prime aspects of these modalities and through the creation of a safe, awake and caring healing environment, Zenthai has evolved to become an effective structural and energetic form of therapy. Bring ancient and modern Yoga philosophy into practice; on the mat, in the classroom, and into life. Rediscover Vinyasa Yoga as an energetic and healing practice. Gain a better understanding of the universal physical and energetic principles from traditions such as the Ashtanga, Iyengar, and Vinyasa systems. Ultimately, it is our aim to make the information come to life as we adapt our teaching towards the special needs of each student. Through this understanding, we have a knowledgeable platform to read the body in an energetic and wholistic way, create effective hands on assists and teach yoga in a therapeutic and transformational way. Explore how breath, bandha, mudra and dristi are the four cornerstones of the inner practice. Also, study the effects of the Pancha Vayus, the 5 Elements, and the Chakra system on our practice. Discussion on the journey a living the life of a Yoga teacher. Receiving proficient training, teaching group classes + privates, creating workshops, developing a brand, starting a studio, creating a unique style, and developing a teacher's training program. Discuss what it takes to become a traveling teacher. Developing workshops; what are the elements that make a workshop different from a regular class? We will discuss the art of presenting an themed workshop for studios and festivals that are unique and inspiring. Marketing - The basics of marketing locally and globally. From creating a captivating website to having a recognizable and admired presence on Social media. We will discuss the basics and nuances of presenting your work through photographs, video, and advertisements for your classes, workshops and trainings. Noelle's powerful and inventive teaching creates space for students to pursue their practice with heart, intensity and drive. A technical teacher, she is passionate about form and endlessly inspired to harness the subtleties of the energetic body to defy gravity and move fluidly through space. Always an athlete and artist, this Philadelphia native, former ballerina, Boston Terrier Field Hockey player and graduate of Boston University, took her first yoga class in 2002 , and fell in love with the practice - mentally, physically and spiritually. Currently, she is the director Yoga and Teacher Trainings at BodyMindLIfe, Sydney - the premier vinyasa studio in Australia. She is a regular headliner at the Wanderlust Festivals in Australia / New Zealand and leads retreats worldwide. Joan spent fifteen years as a distinguished YogaWorks Senior Teacher before bringing her expertise to Wanderlust as the Director of Teacher Trainings in 2016. Now, with over twenty years’ experience leading retreats, trainings, and international workshops, Joan continues to travel the globe leading her own signature trainings. In addition, Joan partners with yoga schools in various corners of the world on their teacher training programs. As a leader in the Los Angeles yoga community, Joan also contributes to popular blogs such as The Daily Love, Elephant Journal, and Wanderlust. She has been featured in Yoga Journal, ORIGIN Magazine and Women’s Health for her advice and expertise on health and wellness. Joan’s openhearted approach to teaching yoga keeps both her inner spirit and her students continuously evolving. Gwyn began his first steps into the foundation of the Zenthai artform in his teenage years with a fascination and complete absorption with life force energy (Ki) . A self confessed life force fanatic, his earlier years involved in using the life force to fight and compete. As a serious martial artist and later a competitive mountain runner, the focus was on expending Ki, however when he later moved into alternative therapies and yoga in 1997, he realised that the real focus needed to be on sustaining and containing life force to utilise its full power. This has carried through to the present day sharing the importance of embracing a Yin and Yang aspect in daily life. Susan is based near Munich, close to the Bavarian Alps where she runs a small local space for yoga classes, trainings and Rolfing. Her teaching combines her love of yoga and connection to nature with an in-depth understanding of the human body. She draws inspiration from having trained extensively in Vinyasa Flow (S. Park), Ashtanga Yoga (R. Freemann) and Rolfing/ Structural Integration. Her current yoga practice consists of balancing a busy family life, teaching, giving Rolfing sessions, studying for a degree in alternative medicine and finding time for her personal practice. Since she never seems to get around to starting a website, please feel free to send an e-mail if you have any questions about the training (susan.michel@gmx.de). SIXT-FER-A-CHEVAL - Classified among the most beautiful villages in France it is as much the setting and the close proximity of several exceptional scenic highlights. The region and village largely falls within the protected natural area called the Natural Reserve of Sixt-Passy (the largest natural reserve in the Haute-Savoie department) and contains an extraordinary range of flora and fauna, as well as scenic spectacles. The Cirque du Fer à Cheval: a remarkable site with 500 - 700 metres tall cliffs stretching as a great wall in front of you with waterfalls cascading across the rock, and even higher mountain peaks reaching an altitude of 3000 metres behind the cirque. 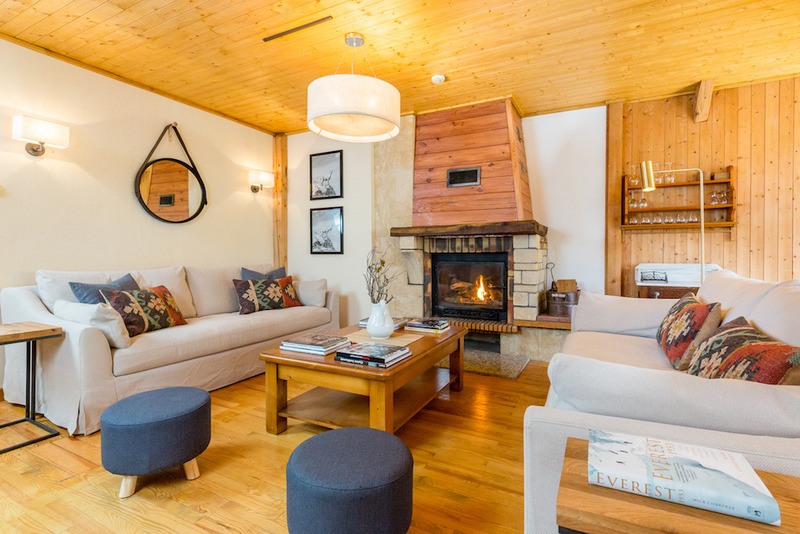 We rent various beautiful alpine Chalets in Sixt-Fer-à-Cheval for you to choose from. We feel that the inspiring nature, the traditional chalets and the charming villages of Sixt and Samoens are an important part of the Yoga, community and cultural experience. Cost of Module 1 only - 1850 Euros Early Bird by Jan 31, 2019 ( * only for the first 15 students to register ) / 2150 Euros Tuition after Jan 31, 2019. Cost of Full 300 Hour Training ( Module 1 + 2 ) - 3350 Euros Early Bird by Jan 31, 2019. ( * only for the first 15 students to register ) / 3750 Euros after Jan 31, 2019. Includes all teaching and online Course Manual. Does not include accommodation, food and transport. 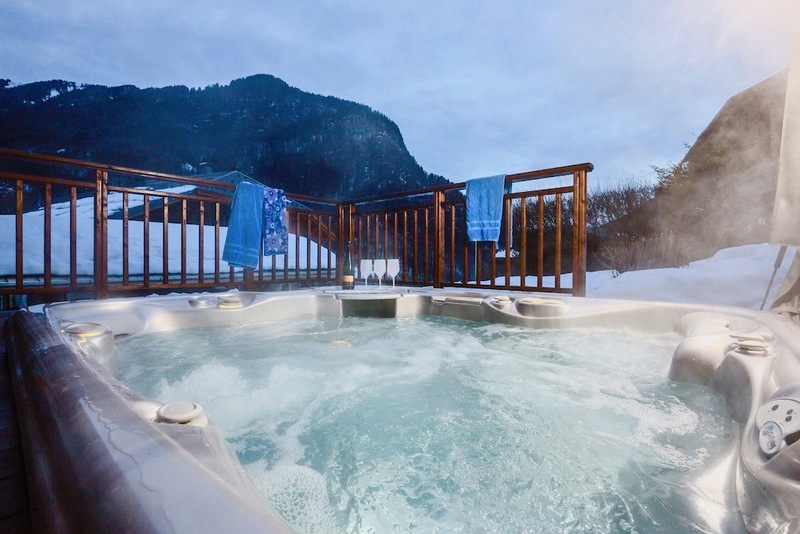 Accommodations: We will rent beautiful alpine Chalets in Sixt-Fer-à-Cheval and the nearby village of Samoëns organized by Simon. The cost of accommodation for a 2 person shared room will be around 450 Euros per person per Module ( 14 nights @32 euros per night ). 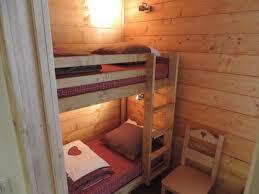 There will also be single rooms at a higher cost, available upon request. Less expensive accommodations depending on location, size and number of people you share your room, may also be available upon request. 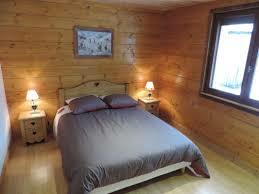 Prices will vary between 20-50 Euros per night per person. You also have the option to organize your own accommodations. Simon will communicate with you to help you find your ideal housing experience. Cost: 490 Euros (per Module 2 weeks) includes dinner on arrival day + brunch on departure day. Food will not be served on the day off of the training ( Saturday June 8, 15, 22 ). We will arrange pick ups at a small extra cost from Geneva airport as well as Cluse Train Station. Please inform us about your arrival and departure times, so we can try match you with the best possible shuttle. Click button below and fill out registration information. Send 500 Euro deposit to register for Module 1 only. Send 1000 Euro deposit to register for Full 300 Hour Training. Deposits must be paid by January 31, 2019 to receive early bird pricing. Early bird pricing is guaranteed for the first 15 students to register for Module 1 and for the first 15 students to register for Full 300 Hour Training. The remaining program fees are payable upon arrival or by transfer. Are you joining this training as a teacher or student? I am interested in teaching hours. I am solely coming as a student. I am interested in both, the opportunity to deepen my practise and teaching hours. 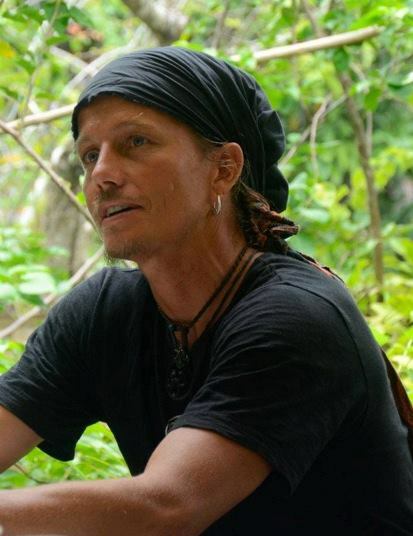 Have you practiced with Simon before? Tell us a little about your yoga experience, teachers and style of practice. Thank you for your submission! We will be in contact with you soon about the next steps! If you find yourself unable to attend, please contact Simon or Coco as soon as possible. 500 Euro deposit is due for the 150 Hour Training. 1000 Euro deposit is due for the 300 Hour Training. Both deposits are non-refundable unless there is an emergency situation. In that case, please contact us immediately and we will endeavor to find a solution. If it is a valid reason for cancellation such as medical or family emergency, we will refund 250 Euros from the deposit of the 150 Hour Training and 500 Euros of the 300 Hour Training, up to 60 days prior to the start of each training. Full payment of tuition, accommodation and food is due by the first day of each training. Either by bank transfer before arrival or upon arrival. Once the program begins the program tuition is non-refundable and non-transferable. ©2017 Simon Park. All Rights Reserved.